This Light Award is sponsored by My Free Mind Movies and processed through Kiva.org. Wassiratou Assante is a young woman, 28 years old, married, and the mother of one child. 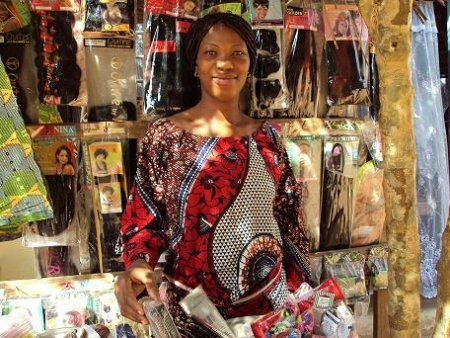 For five years, she has had a hair salon in a working-class district of Lomé, the capital of Togo. She wishes to use this loan to buy a hair dryer and some hair extensions and beauty products for resale. She is counting on this opportunity to improve her family’s living conditions.